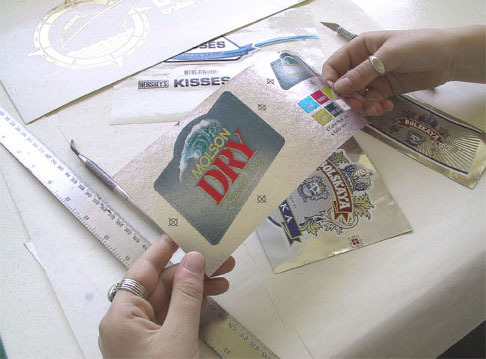 The photomechanical technique utilized to make custom rubdown transfers is identical to the one used for direct image proofs. “Direct Imaging” means that the design is imaged “directly” onto the material rather than onto an intermediate carrier base. Direct imaging is not recommended for water absorbing materials and curved objects. Plastic films however, Plexiglas, Lexan and aluminium foils are excellent substrates.